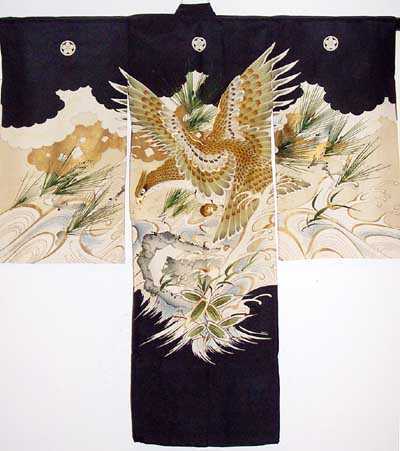 This is a stunning example of a Pre WW2 Japanese Boy's Kimono. 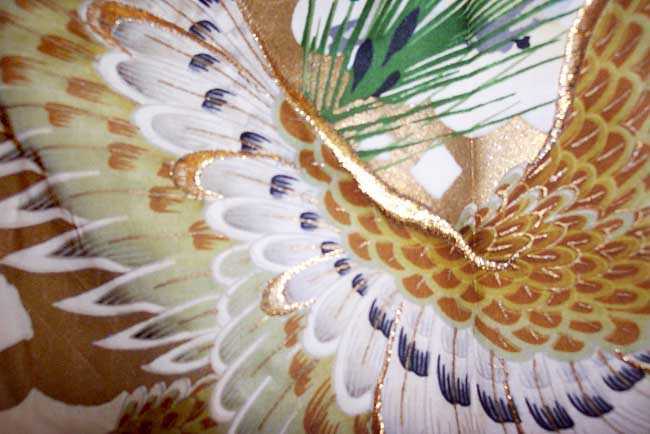 The miyamairi kimono (christening dress) is made of fine lightweight silk. it is decorated by free hand painted design. A huge hawk sits in a pine tree above swirling waters. 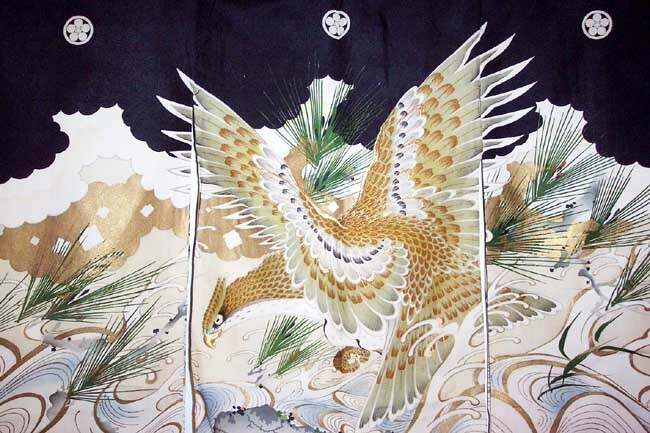 The hawk has gold embroidered wing tips and outlining. The pine tree has golden painted accents. 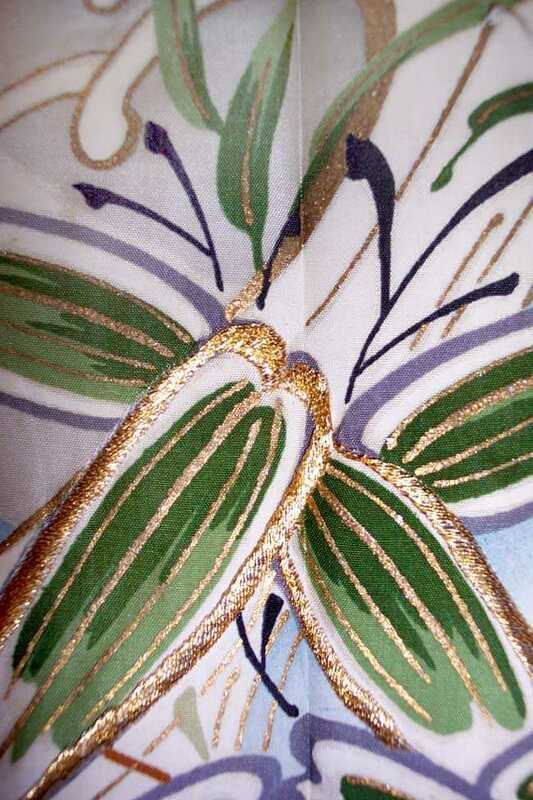 Bamboo leaves are featured in the design. The total composition captures a feeling of power and great strength. A miyamairi kimono is actually draped around the infant while the kimono’s ties are loosely draped about the mother’s neck. 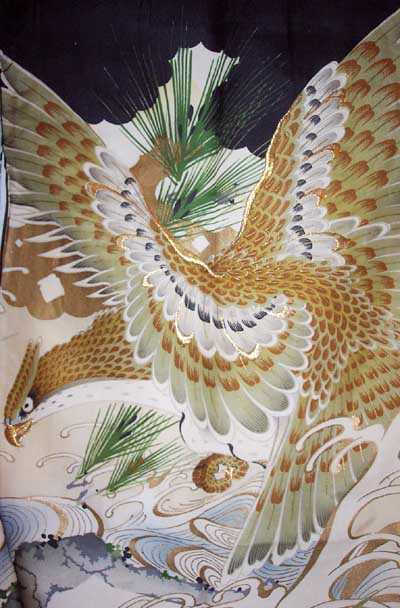 Gold paint and gold embroidery are used extensively in the design. 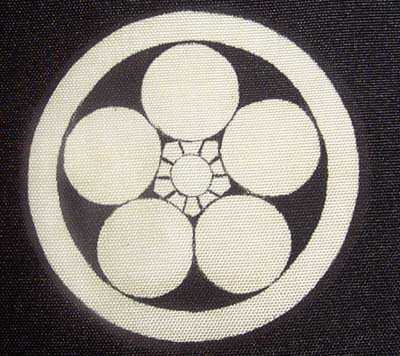 It has five family crests in the umebachi (plum blossom) motif. The kimono is fully lined and the lining has some light stains. They do not show on the outer garment. Kimono Dimensions: 36” Wide from sleeve tip to sleeve tip X 38” Long from shoulder to hem. The sleeves are 22” long.